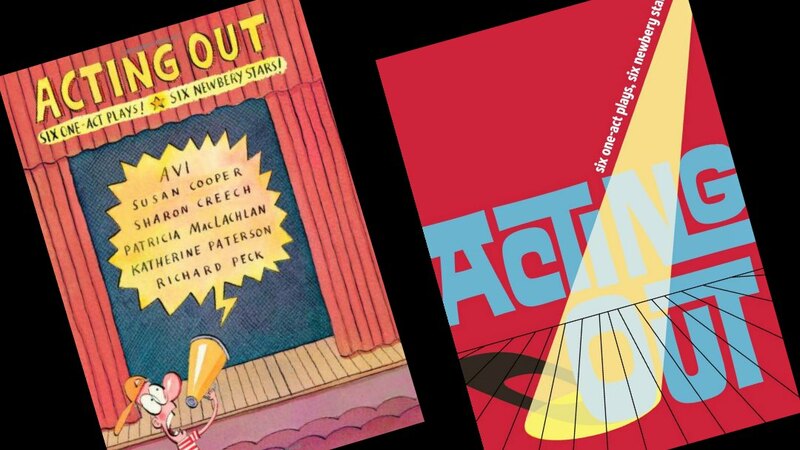 Acting Out is a terrific anthology of short plays well-suited for upper elementary or middle school students to read and/or perform. Collection editor Justin Chanda persuaded six Newbery Award-winning authors to write a one-act play. Before they started writing, Chanda asked each to pick a word – resulting in DOLLOP, HOODWINK, JUSTIN, KNUCKLEBALL, PANHANDLE, and RAVEN – and then incorporate all six words into each play’s dialogue. The word “dollop,” for example, shows up as the name of pet cat; a synonym for contract minutiae, a spoonful of mayonnaise; a titular rock creature; a ghostly substitute teacher’s last name; and an amount of kindness in the different plays. This unifying device is a bit “gimmicky,” but it’s unobtrusive in most cases. While the word “knuckleball” ends up being an anachronism in Richard Peck’s “The Effigy in the Outhouse,” most readers wouldn’t notice it. 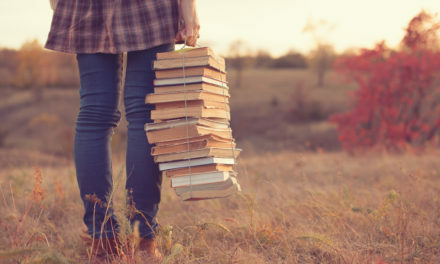 In addition, although playwriting is a new genre for four of the authors (Susan Cooper and Richard Peck have screenwriting credits), their experiences in literature for young people result in mostly successful works. The target reading audience for Acting Out is older elementary and middle school students; I think the target viewing audience is in that age range as well. 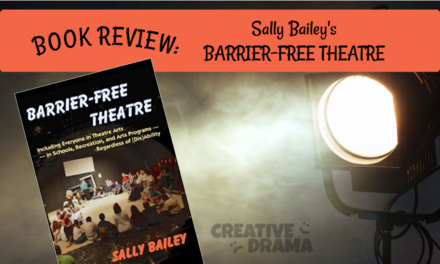 All six plays can be easily read and produced; they would make a good introduction to dramatic literature in an English or Language Arts class. The humor and situations are accessible to fluent readers, with some challenging vocabulary. The six words could become the basis for a creative writing assignment, a vocabulary unit, or even an exercise in quickly scanning a text (provide some Post-it flags). Because many works from these author-playwrights are part of elementary and middle school English curriculums, the collection provides an opportunity for students to compare and contrast works by the same author. For a theatre class, each piece has many possibilities: Reader’s Theatre, scene work, in-class production projects, or public performance. Sharon Creech’s “The Raven” has hints of Theatre of the Absurd, if your students are ready to explore that genre. In his introduction, the editor explains that his idea for the collection originated with a “random word” improv game; playing the game would make a great warm-up activity to a unit featuring these plays. Older elementary and middle school students, with teacher support, could meet the production requirements for talent, staging, and theater technology. The casts range from 4 (“The Billionaire and The Bird”) to 11+ (“The Effigy in the Outhouse”), with evenly-distributed male and female roles. Students can build most roles from already-familiar territory; nearly all of the characters are children, parents, or teachers. There’s even an unseen voice for the actor who’s not yet ready to show his face in Avi’s “Not Seeing is Believing.” Sets require basic furniture and a few walls and windows; the two outdoor scenes need only shrubbery (and a gravestone). There are a handful of special effects across the scripts; kids interested in engineering would have fun creating a mechanical bird, a growing rock formation, and moving furniture. The dialogue and situations should pass all but the strictest scrutiny from parents and administrators, making the plays excellent choices to perform for a school assembly. In Patricia MacLachlan’s “Bad Room,” students are in in-school suspension for laughable offenses: bringing a dog to school; not doing homework; labelling a classmate “miscreant;” talking too much in class; not talking at all in class; and “annoying” the teacher. If any hint of something supernatural is a beacon to censors in your school, three of the six plays won’t work for your students. The schoolkids in “Effigy in the Outhouse” pull pranks worthy of the Little Rascals, but they all backfire due to the presence of a ghostly schoolteacher. “The Dollop” in Susan Cooper’s play is a heretofore unknown ancient and sentient creature who needs to move because of land development. The kids in “Not Seeing Is Believing” encounter an invisible entity who is able to make them disappear as well. Delightfully, the performance rights page states, “It is the current intention of the applicable rights holders that performance rights for any not-for-profit productions performed in a school will be granted free of charge, provided an official request is made prior to the performance to the appropriate agent.” In short, your school could produce these pieces without paying for performance rights; as long as you’ve secured permission from the playwright’s representative (they are helpfully listed on the same page). There are other “royalty-free” play collections written for performance by the same age range, but it’s rare to find one with so many usable pieces. 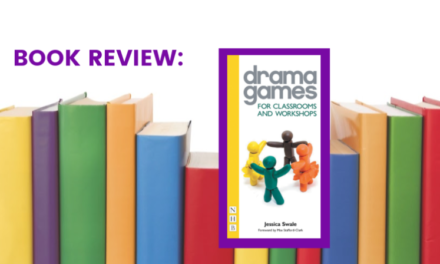 The six plays in Acting Out have recognizable authors, good dialogue, and mostly believable characters, making this collection a must-have for the bookshelves of drama teachers working with elementary school and middle school kids. Although some of these plays would work with a mixed-age cast, I’d advise against a cast of high school students performing these plays for a younger audience; there’s not enough of a challenge here for teenagers. Please see here for details on each of the plays. 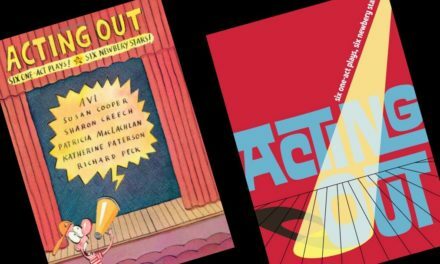 NextPlay Details for Acting Out: Six One-Act Plays! Six Newbery Stars!